There are a lot of ways we can measure our journey with Rett Syndrome. We can measure by the way we have grown and adapted, by what we have done to fundraise or raise awareness. 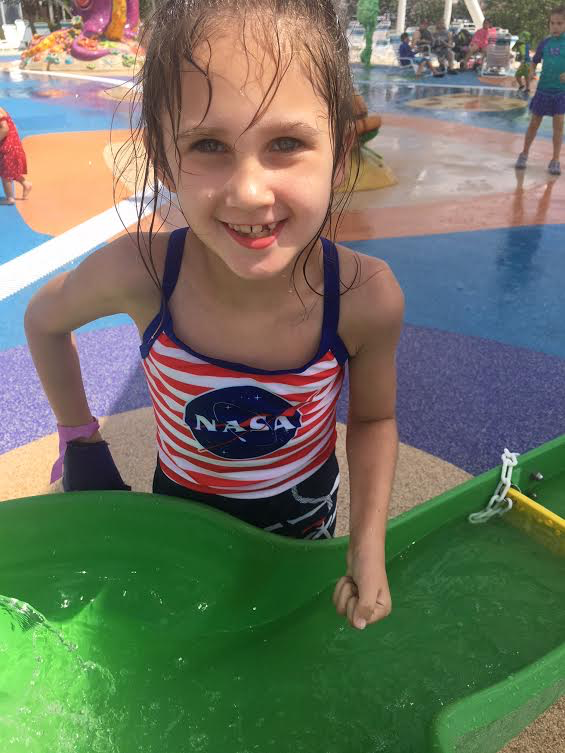 The reality is the most noticeable measure is how Rett Syndrome has progressed. At times it seemed slow and manageable, then at other times it felt like a runaway train. At 2 ½ years old Magnolia had difficulties. She had words but speech progression had slowed. She could use her hands, but she would also wring them. She would run around the room, unable to calm her body, but her body was strong. Apraxia (motor planning) was her biggest symptom. Rett Syndrome was present but not diagnosed. At 8 years old Magnolia has had almost every symptom of Rett Syndrome. Some are mild others are pretty severe. 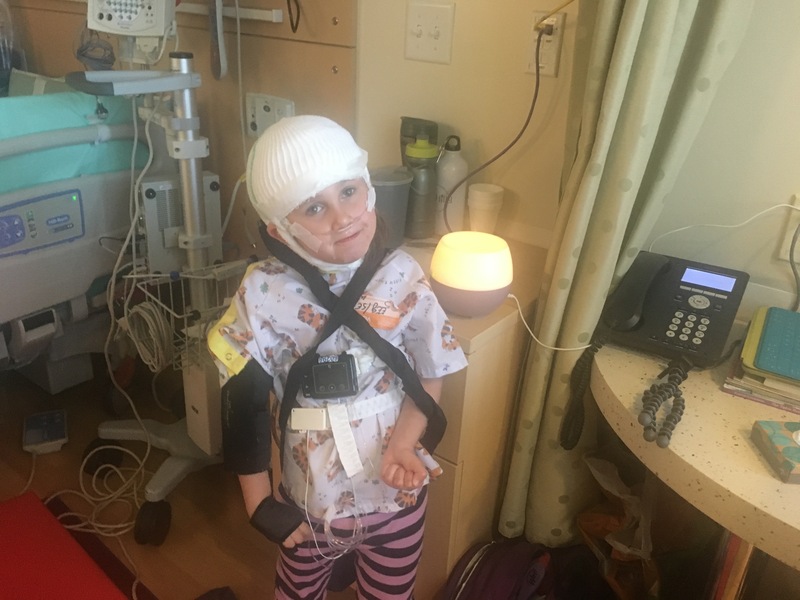 She has lost hand function, lost her speech, lost her balance – making it difficult to stand or walk, she has seizures, compulsive hand wringing, dystonia in her arm, Apraxia, anxiety, Gastrointestinal issues, Parkinson like tremors and there is rarely a day she can breathe normally. Her breathing issues are so severe, we can barely leave her side, for safety reasons. There are just a couple of symptoms left that haven’t impacted Mags as severely as they have other kids. She is still ambulatory (able to walk) but did lose the ability and then regained it. Although she is walking again, she is stable one moment and falling the next. Day to day we don’t know what her body will do. The other symptoms, scoliosis and kyphosis, seem to be knocking at our door. She walks with her head down and sits leaning to the side. So we work on it, hoping to prevent it by building strength. We have been fighting this beast of a disease for 5 years. It has tested Magnolia’s strength and ours. It has almost taken her life several times, when she first started having seizures they came on fast and dangerous. 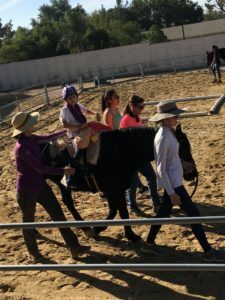 There were days, that we didn’t think she would make it through, which really meant us as well. Rett Syndrome has one symptom that we don’t really discuss and that is death. It’s extremely difficult and hard to talk about. So we choose Hope. 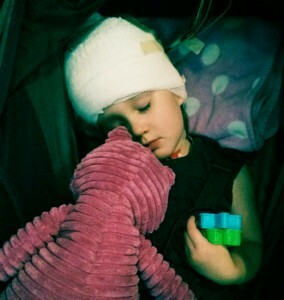 Since Magnolia was diagnosed we were given a glimpse of hope that there would be treatments and a cure in her lifetime. So we grasp at hope, we focus on hope , we spread the message of hope. Because somedays hope is the only thing getting us through. 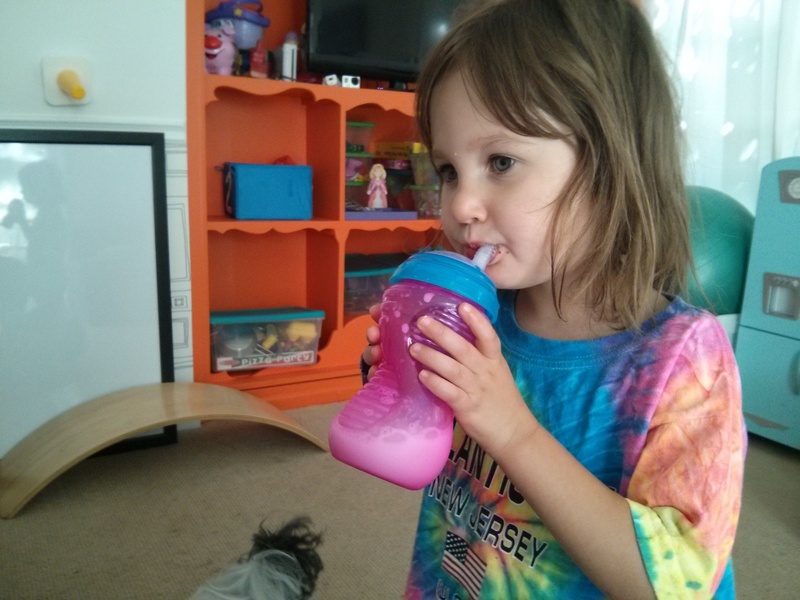 At age 3 she was able to pick up, hold and use her sip cup, all on her own. Age 3 Excited to ride. 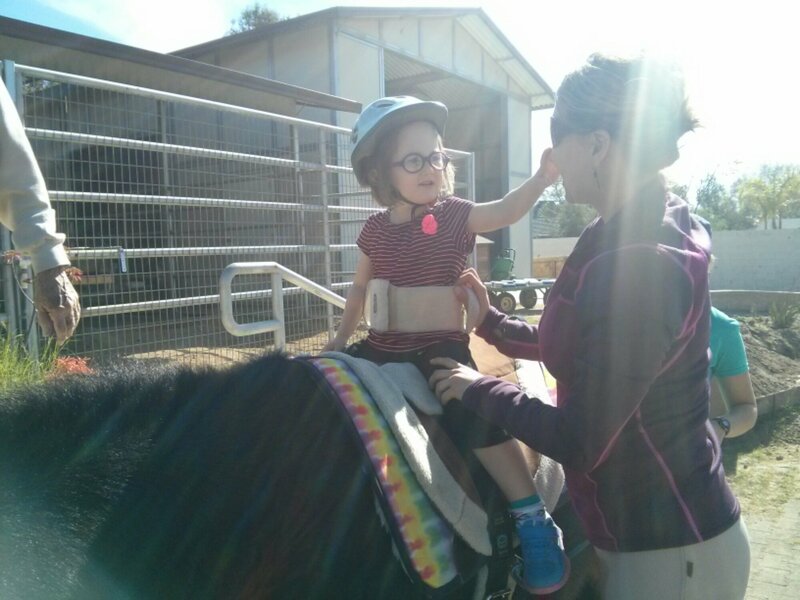 This entry was posted in Uncategorized and tagged #rettsyndrome, kyphosis, progression, scoliosis, seizures. Bookmark the permalink.